Microsoft Soundscape is a research project that explores the use of innovative audio-based technology to help visually-impaired people navigate. Microsoft has just launched an iOS app which utilizes the learnings from the research to help people with blindness or low vision to build a greater awareness of their surroundings, thus becoming more confident and empowered to get around. Soundscape differs from other navigation services such as Google Maps as the app does not provide step-by-step navigation, rather it uses 3D audio cues to enrich ambient awareness and provide a new way to relate to the environment. For example, if you are walking by a store, Soundscape will tell you the name of the store. In essence, Soundscape basically allows you to build a mental map and make personal route choices while being more comfortable in unfamiliar spaces. “Soundscape provides information about your surroundings with synthesized binaural audio, creating the effect of 3D sound. It can run in the background in conjunction with navigation or other applications to provide you with additional context about the environment”. Basically, your phone tracks movement using location and activity sensors, and lets you move toward a self-set audio beacon. 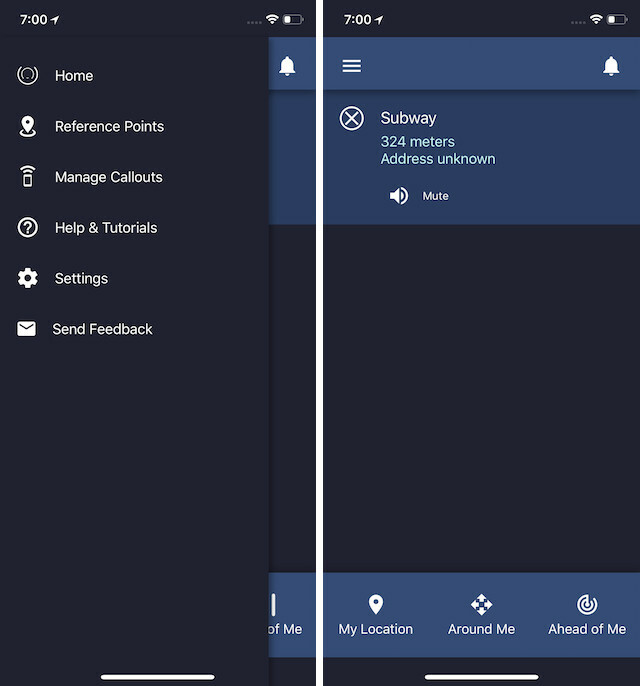 The best way to use the app is to connect it to stereo earbuds or a headset as the app will give you audio cues when you are getting close to your beacon. If a user doesn’t want to set a beacon and just wants to explore his/her surrounding, they can absolutely do that too. As they pass stores and landmarks, the app will tell them about their surrounding which helps in forming a more vivid mental picture of the area. The app has been launched on the iOS App Store, however, it still needs a lot of work. That said, it’s a very good initiative on Microsoft’s part to make the App Store more inclusive, and it will surely help visually-impaired iOS users perform basic navigation.